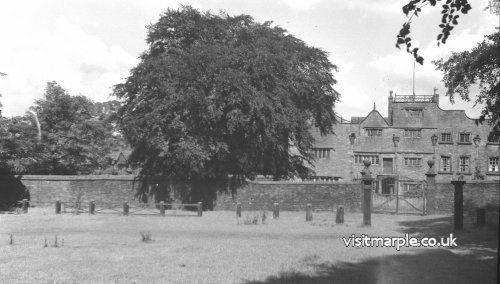 Home > Historic Buildings > Marple Hall > The Jack Wilkinson Album - decline and demolition. Marple Hall from the main driveway. The hall's decline is not yet apparent in this shot from the main drive at the front. Album name: picadmin / The Jack Wilkinson Album - decline and demolition.